 Duck Athletic Fund members will receive information on any postseason competition as information becomes available. The Priority Point System will be used when determining ticket quantities, locations and requests. In close proximity to the stadium, Duck fans gather to tailgate in the surrounding parking lots. 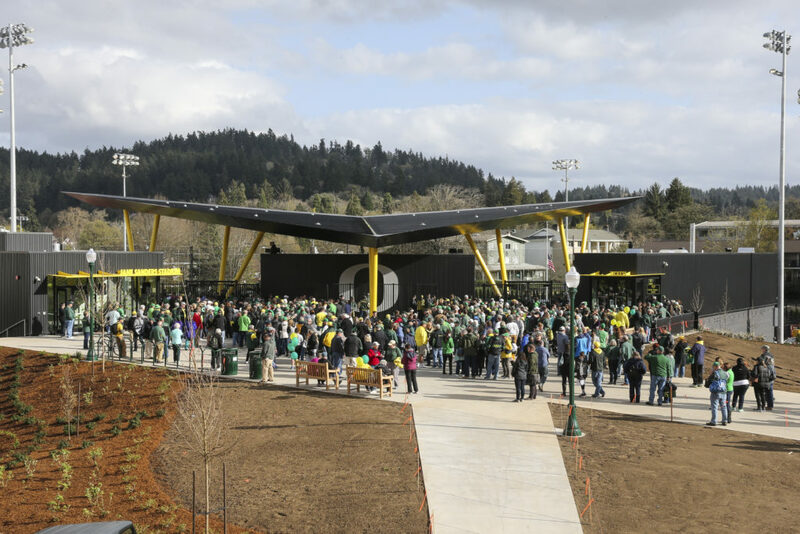 Reserved car and RV parking provides donors with designated spaces in Autzen Stadium lots that are reserved regardless of arrival time. The minimum giving levels are: Reserved Car $4500, Reserved RV $6000. Multiple reserved passes may be requested: 1 per pair of season tickets plus the qualifying donation. Donors have the ability to renew their current locations on their football season ticket renewals as long as they are committed to donating at the required levels. New requests and parking location improvements will be filled in priority point order. New requests are not guaranteed parking. Parking passes are non-transferable and intended as a donor benefit. Car parking spaces are 9′ x 20′. RV spaces are 18′ x 40′. All tailgating must be contained within the designated dimensions. For larger groups, please contact Hospitality Services at 541/346-5483. 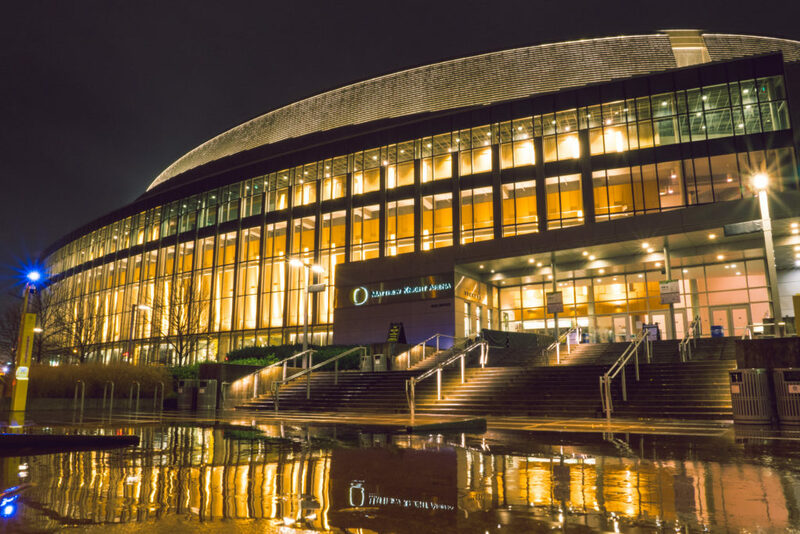 Parking at Matthew Knight Arena and the surrounding lots provides easy access to men’s and women’s basketball, volleyball, acrobatics and tumbling, as well as concerts and events. Lots are filled on a season basis with the opportunity to renew. Any additional parking requests are filled in priority point order. Post season parking is limited availability and allocated in priority point order. For more information on parking at MKA, please contact the Oregon Athletic Ticket Office at 1-800-WEBFOOT. Various lots around campus are available for parking on game day. These are filled on a first-come, first-serve basis. 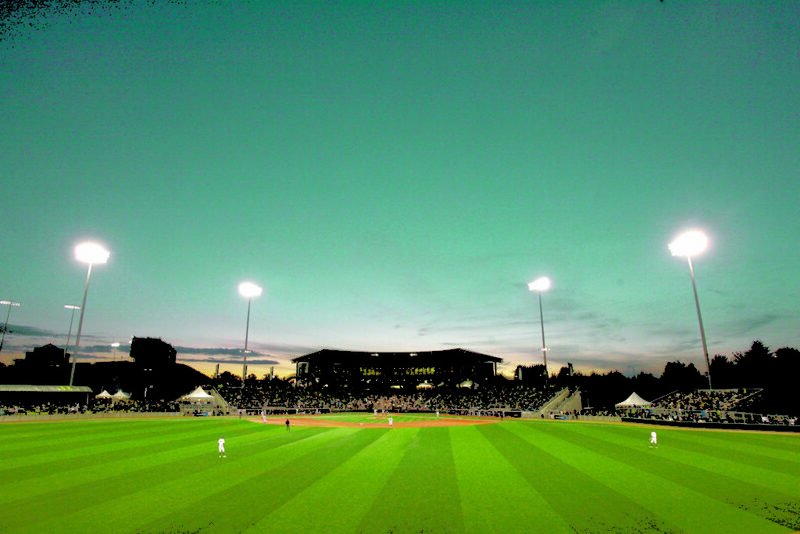 Parking is available on baseball, lacrosse and soccer game days around the stadiums and spaces are filled on a first-come, first-served basis. 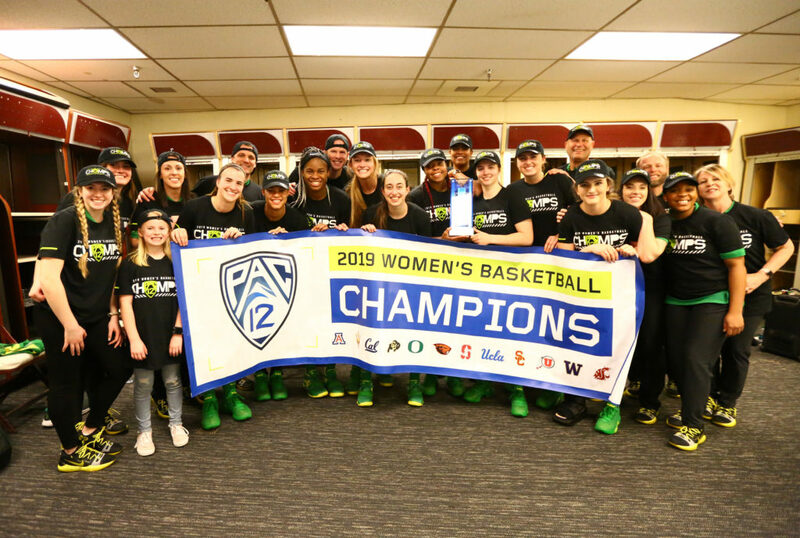 The priority point system is the Duck Athletic Fund’s order process for allocating all benefits and requests and is reflective of donors’ consecutive years of season ticket purchases and donations. In order to activate an account, a donor must make a gift in the current calendar year. Points are calculated based on current records four times a year. Check out the events/deadlines page for more information.